Hmmm, a good reason to stay east of the Mississippi I guess. And for comparison, the popular Myakka River State Park near Sarasota, FL is just $26 for a full hookup site. That includes the dues when I figure out the costs. Purchase prices was paid off almost immediately. Lots of people purchase used memberships and very few people know that you can negotiate the price of a new membership way down by being willing to walk away. All of which doesn't seem to matter to you because you "know" about TT. NO, you don't know, you've just heard some things. Way back when we originally started fulltiming we had thought we would stay in a lot of state and national parks. 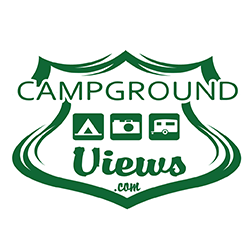 Since most states have withdrawn support, those campgrounds now must charge higher fees to make up the difference, and are as expensive, if not more, than most private parks. Especially in those states where a toad is charge as a second vehicle on a per day basis unless one purchases an annual state pass. We like county/city parks when we can find them and COE parks - where you truly get a bargain, and even there, some of tried public-private partnerships and lost a lot of people because of the price increases. I don't know how others define "expensive luxury", maybe I'm wrong, but, with over $100,000 invested in our rig, yes, I think that's a luxury purchase. I don't make judgements about what other people should purchase. I will say that if you're planning on living full time, you probably want something a little larger than a Class B, if you need the extra space. Then you certainly don't live or have traveled much in California. We've gone to many state parks and especially if you want full power adjacent to the Pacific Ocean … you're going to pay more like $70 per night. We live in Los Angeles, and let me tell you "nothing here is cheap". What impresses me is the freedom to go out in the vehicle and be completely self contained. It's small, but, it's very luxurious on the inside with all cherry wood and soft fabric interiors on the walls. It has a terrific sound system and nicely finished granite countertops. Everything is in easy reach and we almost never have to do anything else besides just pulling up, extending the awning and pulling out a couple of chairs from the trunk. We have the lightest footprint. I never hook up to city water or the dump station. We just hook up the 30 AMP electric. When it's time to empty the tanks, the hose is permanently attached and just pulls out from underneath the rig and the macerator pump flushes everything out. Ours is a 3 season rig, not four seasons, so, I have to be mindful of that, but, we don't have to do anything special to winterize it here in Southern California. I don't have to worry about rust either, we are not that close to the beach. I've had cars in Southern California for 20 years and they never rust; that's why vehicles here sell for premium dollars, unlike the northeast area of the US. I'm not telling other people what they should or should not do, do whatever you want, and spend whatever you can afford. 1. Had to be easy to drive, nimble enough to go anywhere and setup in minutes. 2. I did not want the cost of fuel to limit where I was going to go, so I wanted 18 plus miles per gallon; we got over 20 MPG on one trip. So far, we've gone almost 18,000 miles in two years. 3. Vehicle had to be easy to maintain and require no special roof maintenance, it's a factory cargo van that's been converted and customized on the inside. 4. King size bed for two with a convertible sofa during the day. 5. Immediate access and no storage fees; we keep it stocked and ready to go in the driveway. We are part time RV folks. We have home and RV expenses to contend with. If you full time in less expensive areas with an older rig, especially one that is paid for, maybe you can live on less. As far as investments are concerned, let me say this one more time …. our RV cost $100,000.. so did our house when we purchased it 36 years ago... the difference is the house is now worth close to $650,000. I'm sorry if you can't handle the truth.... but, the RV's value will continue to drop while the private residence will just get more valuable over time... RV's are NOT investments, but, they're an expensive commodity. Since I own three houses that are all going up in value, I can afford one major depreciating asset. I love the RV, but, I don't have to love the depreciation, the two are NOT mutually exclusive. I realize not much impresses you but Barb's figures include their cost of membership. People who pay attention realize you can buy really good membership plans really cheap through the used markets. I'd think that would impress you. Since Dave & Barb like the parks that are along routes they regularly travel they spend a lot of time in those parks thus making their average night cost $7-10. You could do that, too. Linda, OK, I'm willing to be open to suggestions... thank you for sharing.. It's not bad idea for people who use it this way. ..a “campground timeshare” but with less cost and commitment. Depends on my travels........it might make sense... I don't know. Not sure we travel like that or enough to warrant it ..? Maybe? Maybe you can get someone else's pass ... for less...? As a Thousand Trails member – even if you just have a single Zone Camping Pass – you are eligible to purchase the optional “Trails Collection” add-on. The Trails Collection gives you access to 110 Encore properties nationally. And you can stay up to 14 nights at a time, at NO nightly fee for MOST parks. But, there are about 18 parks that are considered “premium” parks in popular locations, and charge $20 per night. As a Thousand Trails member – even if you just have a single Zone Camping Pass – you are eligible to purchase the optional “Trails Collection” add-on. The Trails Collection gives you access to 110 Encore properties nationally. And you can stay up to 14 nights at a time, at NO nightly fee for MOST parks. But, there are about 18 parks that are considered “premium” parks in popular locations, and charge $20 per night. I expect to keep ours another 8 years. At age 64 my expectation is that we will replace it with a slightly used high end 5ver (kind of thinking a New Horizons). After that I have no idea how often we will replace it. Likely 5 or 10 years but maybe never. But you own a home in CA that cost way more than that and it isn't a luxury, even with your high taxes and expenses while the fulltimer, spending $100k+ on his home is luxury? Then you certainly don't live or have traveled much in California. 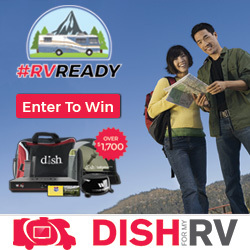 CA is only 1 of the 49 states, Canada, and Mexico that RV travel and spend time in. Then why do you keep hammering us about what it costs us? 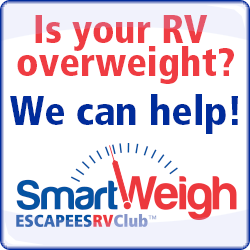 The people you keep trying to convince that you know something they don't are a group who have been RVing for 30 years or more, many have actually lived in an RVt for 10 years or longer, and most of us think that we may have learned a few things along the way. There is nothing wrong with asking questions here as that is the key to how the forums work, but please stop telling eveyone that they are wrong. It seems to me that your main point is to cause arguments, not to share information. 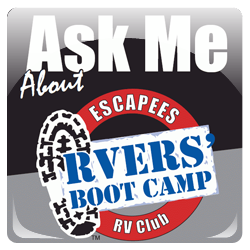 The theme of the Escapees RV Club is caring and sharing and you seem to want to make it arguing and fighting. Many of those who have been responding to your posts have been active on these forums for a very long time and consider each other to be friends. More than a few of us have met in person as a result of the club and the forums. We have been sharing information and advice for long enogh that we know what works for us and we are happy doing so. Courtesy and respect would go a long way to help you fit into the group. O.k., so you're well off. Great. How much money have you put into that $650K house over the past 36 years? How much have you paid in taxes on that house over those 36 yrs? Have you ever figured out the total cost of YOUR home ownership? Something tells me there isn't $550K profit. Unless, of course, you never had to do a repair/replace/refurbish/pay taxes, etc, on the house. SO... our private home in a quiet residential neighborhood will get even more desirable as time goes by... they are not building smaller starter homes like this anymore in the city.? WHY? The land is too valuable..... you see..it's not the house that is so special...it's nice enough... but, the land value and location is the key ingredient. I don't know where you live...LA is a world class city with abundant services... LA is a shopping Mecca and anything you might want is available here. We certainly do have "equity" in the house...I own more than 60 percent of the value...of course it can go down in price..it has dipped in the past...who cares, we actually live here...it will never go lower than what I paid for it. The point about the house is... in the future, I have options...I could do a reverse mortgage, rent the house and make money or sell it and cash out and purchase a home in a less expensive area... people do that you know. I was lucky that I grew up in LA...worked all my life, had a good job and was able to purchase a home in LA when they were still affordable....( when we purchased it, I thought it was a lot of money and it was a leap of faith). Let me tell you my house increased in value way faster than my salary did...By the time I retired, I couldn't have afforded to buy my own house all over again..it happened that fast even as my salary went up... My only option was to stay the course with the house and my job making payments. You can't make the same statement for my $100,000 RV..it loses money over time. It's not going to increase in value.... UNLESS it became a "collectible"..... it's possible? Years ago...one of my first cars was a 57 Chevy Bel Air...I loved the car except it got 8 MPG...Well, today, a 57 Chevy Bel Air would sell for $25-$30,000...and my car was beautiful. I don't know... anything is possible. Those of you who have had to replace your vehicles every 10 -15 years..or had other repairs..etc. Let me tell you from my view the RV is much more fragile than a house. Finally, when I say that the house is my financial "ace in the hole" against future inflation... I'm not kidding. Let me ask you this question.... have you figured out how much it's costing you with the lost opportunity to make your money and investment work for you? We stay in parks in California all of the time - we are big wine enthusiasts and thus spend a lot of time. TT parks are all over CA. So, look at the Zone Pass and try it for a year. BTW - everyone who uses membership parks know that you need a Homepark/System and then also Affiliate memberships like Coast-2-Coast. We have a homework in Colorado, and then memberships in Coast-2-Coast, ROD, AOR and our 2-zone TT pass with the Trails collection. We save $2500+ each year because we USE them extensively. No one cares what you will make from your house, or how great a deal you got buying it early in California. Lots of people live(d) in areas where the housing market is 'hot'. Millions of people lost a lot of money during the housing bust, and those that didn't loose money saw the value of their property decline. In some places (think midwest, rustbelts) the values haven't come back. We were exceedingly lucky to have sold our last home in '05. But we have also been in a situation where we couldn't sell when we lived south of Akron in 1983 because of the recession. It looks us over 18 months to finally sell, in the mean time we had to carry two mortgages, had a tenant who also lost their job so had to evict, etc. It took us years to finally get back to the point where we were 'even'. You assume that fulltiming equals a 'lost opportunity' and that is so sad. I really pity you if you can't understand the joy that a lot of us have to be able to see the country, not to be tied down, to be able to flip a coin to decide which of two roads we will take, to make note of places still to visit, to be able to return to see the development of an area. We chase that 75° mark and don't mind the few days of rain over the year (this year being a real outlier for Phoenix area). We have played in the snow in July up on Mt. Baker, looked into the crater at Mt. St Helens over the years and marvel at it's regrowth. Walked on the beach on EACH of the four coasts of the USA (Pacific, Great Lakes, Atlantic, Gulf of Mexico) and stuck my toes in the water. Took a boat ride on the old Erie Canal outside of Niagara Falls - and seen both sides of the falls. And enjoy being with each other - we each had life-threatening episodes and appreciate that we can still do things at our age. My 5er is 16 years old. I love this old gal.. I made the right choice the first time. I agree 💯 percent...why do you think I purchased the RV? On the other hand, it's good to have a backup plan. The house is my primary home and a solid investment. People on this forum don't understand my point of view that RVs just go down in value...... I do like the part time RV adventure. If you are parking your rig somewhere for three months or more how is that any different from me just being home for a while? We get out and enjoy whenever we can. That's perfect.. good for you. I always say that the best choice is the one that works for you the first time.. I'm sorry if you can't handle the truth.... but, the RV's value will continue to drop while the private residence will just get more valuable over time... RV's are NOT investments, but, they're an expensive commodity. I wonder why you continue to pepper your posts with statements like this?? 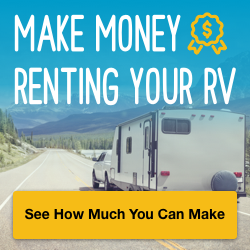 You are the only person that has continued to speak of an RV as an investment. I (and many others) am firmly on record as stating that an RV is not an investment in any way, shape or form. I think you believe you have some type of unique knowledge that others don't possess, and you seem to feel that insulting comments like "I'm sorry if you can't handle the truth" are a way to more forcefully get your point across. You seem to be a borderline troll in that you continue to post on one topic, only to come back and hammer on your mantra of "A house is an investment, and RV is not". You seem very insecure about your choices regarding RVing. I have no such insecurities. People on this forum don't understand my point of view that RVs just go down in value...... I do like the part time RV adventure. If you are parking your rig somewhere for three months or more how is that any different from me just being home for a while? Again, absolutely no confusion on this board regarding the fact that RVs go down in value. Did you just figure that out?? Is that why you are so eager to repeat it over and over again?? Why is everyone continuing to engage in conversation with this guy? s good to have a backup plan. The house is my primary home and a solid investment. People on this forum don't understand my point of view that RVs just go down in value. Why do you assume we don't have backup plans? Some of us see our RVs as going up in value because they allow us to have valuable experiences we could not get by staying in a house. Because it's fun to see if we can break through his assumptions to make him see things our way. Why are you still reading?